Hedge-fund giant Bridgewater Associates, with about $160 billion under management, has added 84,629 shares of Alibaba Group Holding Ltd. worth some $15.7m. HONG KONG, HONG KONG, HONG KONG, August 15, 2018 /EINPresswire.com/ — As we draw closer to Alibaba’s earnings release, the company continues to draw investment from institutions and retail investors alike. Whilst the stock closed down slightly lower yesterday at $172.53, volumes over the past week have exceed the monthly average and KBICL expects the monster Chinese stock to not disappoint after its earnings release on the 23rd. 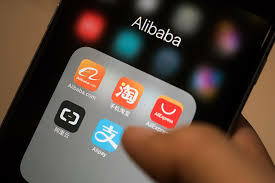 Hedge-fund giant Bridgewater Associates, with about $160 billion under management, has added 84,629 shares of Alibaba Group Holding Ltd. worth some $15.7 million, to its holdings, according to a regulatory filing on Tuesday. Other notable additions to the fund, led by Ray Dalio, included 1,042 shares of Amazon.com Inc., worth $1.8 million, and 28,834 shares of Baidu Inc. worth $7 million. Jana Partners picked up new positions in social media giant Facebook (FB), Google parent Alphabet (GOOGL), and Chinese e-commerce juggernaut Alibaba Group Holding (BABA) in the second quarter. The New York-based hedge fund bought more than 650,000 shares of Facebook, about 44,000 shares of Alphabet, and some 439,000 shares of Alibaba. Also announced today, Kroger Co. will sell its products in China on an e-commerce site owned by Alibaba Group Holding Ltd., the grocer’s first foray into foreign sales amid a broader push into online retail. The U.S. supermarket chain on Tuesday said it plans to open an online storefront on Alibaba’s Tmall Global site, the Chinese internet titan’s platform for international brands. Kroger said the site will launch Wednesday with an initial product offering that includes dietary supplements and private-label products, much of it natural and organic goods. Once Alibaba have released their earnings later this month, a rally on BABA could be on the cards as historically, the company’s performance is significantly stronger in the final quarter of the year. To find out more information on the opportunities Knight Bridge Investment Consultants see’s with Alibaba and with the Ant Financial in particular, visit www.knightbridgeinvestment.com or contact us at info@knightbridgeinvestment.com for further information.